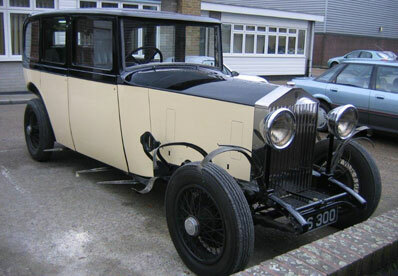 Emily is a beautiful vintage Rolls Royce limousine. She has just undergone a complete restoration, and is now painted in ivory and black to match Angela. She has a huge amount of space and can accomadate any style of dress.With her rear hinged coach doors it’s so easy to get in, as you can walk straight ahead into the car. Emily has a beautiful blue leather interior and walnut trim which is absolutely certain to show your dress in its best possible light. Emily and Angela are proving very popular as a matching pair. 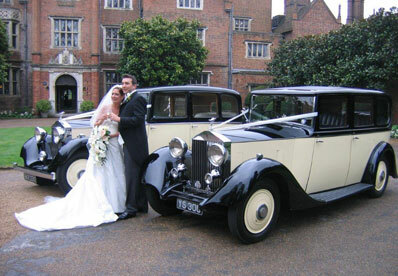 We believe we are the only company in Surrey that can provide 2 matching vintage Rolls Royce’s. 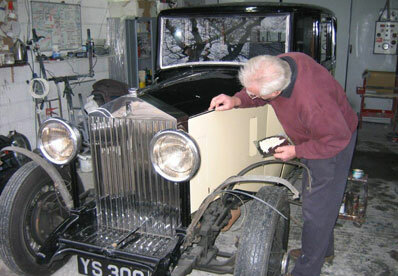 Emily is a 1934 Rolls Royce and her bodywork was built by Hooper. 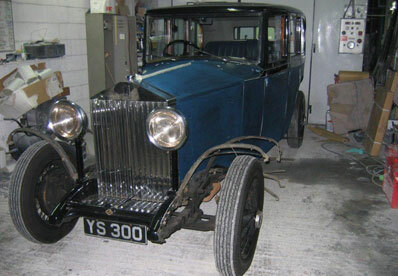 She was sold to her first owner Mr J Campbell by the same garage that sold Angela. We purchased Emily in 1999. All of the cars in our collection have been painstakingly restored to their former glory and Emily is not exception. We have included a few images below to help illustrate some of the work which has been carried out. 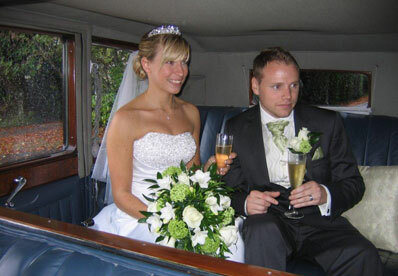 Clover Care is a professionally family run business specialising in the supply of classic and vintage wedding cars in Guildford, Woking, Surrey and the surrounding areas. 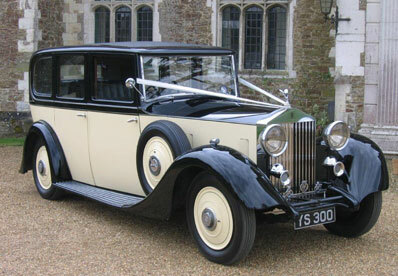 Our breathtaking selection of cars includes vintage Rolls Royces, classic Rolls Royces and Daimler Limousines.